I’m With Her is a folk supergroup. Sara Watkins, a founding member of Nickel Creek, has been reaping the rewards of solo success since releasing her eponymous album in 2009. Sarah Jarosz began releasing albums that year as well. The final member is Aoife O’Donovan, lead singer of the Bluegrass band Crooked Still and the daughter of Brian O’Donovan, host of A Celtic Sojourn on WGBH Radio here in Boston. The trio came together for an impromptu performance at the Telluride Bluegrass Festival in 2014 and released their two-song EP, Crossing Muddy Waters/Be My Husband in 2015. They gathered in Los Angeles and Vermont once their solo careers had slowed down a bit to record See You Around, which was produced by Ethan Johns in a tiny village near Bath, England at a recording studio owned by Peter Gabriel. The trio co-wrote the album together. The gorgeous “Game To Lose” is a perfectly accentuated ballad anchored by Jarosz’s mandolin and Watkins’ warm and familiar fiddle. Watkins’ rich vocal tone is the centerpiece of “Ain’t That Fine,” while her falsetto leads the way on “Wild One.” The former is the sparse look at a budding relationship, while the latter is a cautionary tale and possibly my favorite song on the album. I also love “Waitsfield,” a jaunty and engaging instrumental. Two fiddle-laced ballads grace the back half of See You Around. “Crescent City” rides along at mid-tempo and relays the timeless message to make each moment of your life truly count. “Close It Down” is a tale of regret, with the protagonist falling for the charmer who has cast their spell on many a resident of the town where they reside. “Ryland (Under The Apple Tree)” stands with “Ain’t That Fine,” in its depictions of the idyllic beginnings of a new relationship, but it strikes an ominous tone with the constant refrain: “under the apple tree, I planted for my love and me.” The final track is Gillian Welch’s “Hundred Miles,” which they perform with minimal accompaniment and partly a cappella. It took me a bit to warm up to See You Around, but the nuances the trio brings to these songs are unique and captivating. This is clearly a record all their own, a great one indeed and well worth checking out. One of the most welcomed surprises late last year was the news that Nickel Creek, easily my favorite acoustic band, were reuniting to record their first album of all-new material in nine years. Produced by Eric Valentine, the mastermind behind Why Should The Fire Die, the project marks their twenty-fifth anniversary as a band. Whenever an act disbands, especially in the prime of their abilities, there’s always a sadness marked by countless ‘what could’ve been’ thoughts had they stayed together. But more now than ever, it’s easy to see that the members of Nickel Creek (Chris Thile, Sara Watkins, and Sean Watkins) were more than just members of a group, but rather vibrant solo artists who needed to explore life apart from the musical force that had guided their lives since they were teenagers. Their personal growth away from Nickel Creek has been extraordinary; with solo projects and other unique ventures serving to further hone their creative geniuses and better inform them as a band now that they’ve reunited. Our first taste of their reinvigoration came from “Destination,” the fiery Sara Watkins-led first single. The track is an outstanding addition to their legacy and perfectly matches Thile’s rip-roaring mandolin with Watkins’ smoky yet biting vocal. Two more songs were released in advance of the album – “Love Of Mine,” a gorgeous ballad led by Thile’s mandolin and Watkins’ fiddle and “21 of May,” a crisp traditional bluegrass number showcasing Sean’s glorious talents with acoustic guitar. The latter is my favorite of three, and one of their greatest performances as a band. Rarely have they ever sounded this tightly engaged. 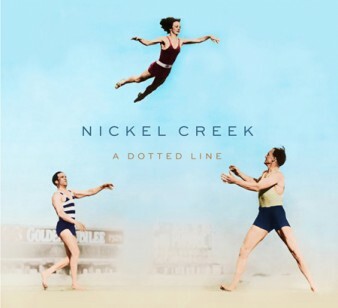 As far as Nickel Creek albums go, A Dotted Line is a fairly conventional set, with relatively few stylistic surprises. That’s a good thing, though, as the music is allowed to stand for itself without too much experimentation getting the best of them. As far as progressive bluegrass bands go, they show why they’re the best of the bunch on “Rest of My Life,” a soaring ballad showcasing the high lonesome side of Thile’s voice in marriage with his signature crashing mandolin picking. He takes the lead again on the excellent rapid-fire “You Don’t Know What’s Going On,” a stunningly aggressive number with a punkish attitude and enduring angry rock sensibility. If only all such songs would sound like this. “Where Is Love Now,” a Sam Phillips cover, finds Sara singing lead once again, with a delicate ballad that gives her room to breathe. As a vocalist, Watkins is a curious case in that her voice is often obstructed by production (especially on Sun Midnight Sun) that drowns her out. She has the ability to keep up with muscular production, “Destination” is a good example of this, but on lush ballads Thile’s mandolin and Sean’s acoustic guitar is the right amount of production to let her shine. What I love the most here is how the song rolls along conventionally until the chorus, when the three-part harmony kicks in beautifully, allowing the track to soar to new heights. “Christmas Eve” is the rare moment Sean sings lead, and he more than holds his own with the story of a guy pleading with his girl not end their relationship. The track distinguishes itself in lyric alone, as it’s the most story-centric number on A Dotted Line. There’s a tinge of sadness in Watkins’ vocal that mares his conviction, but it works in allowing him to lay open his broken heart. “Christmas Eve” is skillfully subtle in all the right ways. In contrast to the rest of the album, the band gives us one track brazenly unafraid to reimagine the definition of what a Nickel Creek song can sound like. “Hayloft” is a duet between Sara and Thile where they assume the rolls of a couple being chased by her disapproving father (“My daddy’s got a gun,” wails Watkins in the refrain). The track, originally done by Mother Mother, an indie rock band from British Columbia, is wacky, nonsensical, and the album’s standout number simply for daring to be different. I wanted to hate it, but Watkins infuses it with the personality she brought to her solo albums and its so endearing that the proceedings are nothing less than charming. If Watkins hadn’t made those two solo albums, I doubt “Hayloft” would even exist – her growth and newfound confidence as a musical being is astounding. As if eight lyrical numbers weren’t enough, we’re also gifted two instrumentals that are as excellent as anything on A Dotted Line. “Elsie” is a strong mandolin and fiddle ballad that rolls along quite nicely while “Elephant In The Corn” picks up the tempo a bit and features a wonderful acoustic guitar breakdown from Sean. I’m not usually one to go crazy for instrumentals, preferring songs with lyrics, but these are excellent. So, after nine years, was A Dotted Line worth the wait? More than anyone involved in its creation will ever know. With the rise in popularity of Mumford & Sons and The Avett Brothers, I’m come to appreciate Nickel Creek (and Thile’s other band The Punch Brothers) even more because they approach their music from a bluegrass and not rock perspective. With purely acoustic instruments and lush not aggressive vocals, they make this acoustic progressive bluegrass the way it’s supposed to sound. That they do it with exceptional lyrical compositions is just an added bonus. Their asaterical lyrics have always been their downfall, but they’ve grown by leaps and bounds as writers on A Dotted Lineas well as singers and musicians. Lets hope it’s not another nine years before we’re gifted with their next set of new music. A commanding drum beat and cheeky 1980s style electric guitars greet the listener on “Heart Shaped Bullet Hole,” a Disney jam session meets “Down At The Twist and Shout” confection that anchors Lorrie McKenna’s EP of the same name, her six-song follow up to last year’s highly emotional Lorraine. It’s by far the most experimental thing she’s ever done, and the results are phenomenal. In this instance, taking creative risks pays off in spades. McKenna then goes on to incorporate these creative instincts in the other tracks, showcasing a willingness to step beyond the familiarity of the lush acoustic sound she’s honed for the better part of her career. These differences, sometimes far subtler than others, make most of the EP an enjoyable listen. An electric guitar penetrates the musical bed of “Whiskey and Chewing Gum,” a Troy Verges co-write, while the acoustic guitar underpinnings of “All It Takes” (co-written with her ‘sixth child’ Andrew Dorff) gives the track a fun, folksy vibe. Both songs are also standouts lyrically, with more than an abundance of memorable lines. With three such strong forward thinking songs, the rest of the EP sounds a bit like a retreat back to the comfortable with McKenna sticking firm to her coffee-house roots. That isn’t necessarily a bad choice on her part, but I wanted more, especially since she’s surrounded herself with such ear-catching songs. The lush arrangements actually get in the way of two tracks – “Sometimes He Does” and “This and the Next Life,” which are both excellent songs in their own right, but feel predictable, with the latter a bit too slow for me to fully engage with. I had similar thoughts with her Ashley Ray co-write “No Hard Feelings,” but the hook is strong, and their twist on the classic break-up ballad (“Once it’s gone – it’s gone/So no hard feelings”) is stunning – they leave the listener hanging – how is she able to break off their love so cleanly? Did she ever really love him at all? That simple mystery gives the track its allure. 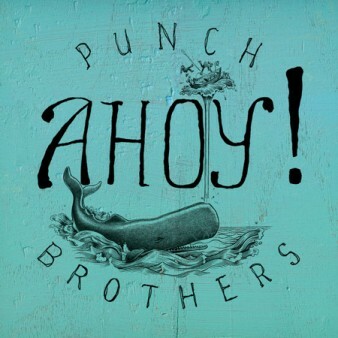 Punch Brothers, one of the coolest – and criminally underrated – bands making music today take similar strides, serving up Ahoy! their companion EP to February’s masterwork Who’s Feeling Young Now?, one of my favorite albums of 2012. Consisting of five tracks, the project brilliantly displays Chris Thile’s continued growth since Nickel Creek, proving why he so richly deserves his MacArthur Grant. Thile is seemingly unmatched as both a mandolin virtuoso and effective vocalist, but Ahoy! proves he and his band mates are also equally skilled as musical interpreters, turning the set’s three cover songs into completely reimagined takes on the originals. The vastly different tunes, singer/songwriter Josh Ritter’s “Another New World,” Gillian Welch and Dave Rawlings’ “Down Along The Dixie Line” and Noise Rock group Mclusky’s “Icarus Smicarus” all feel right at home in the progressive folk settings Punch Brothers frame them in. Ritter’s ethereal “Another New World,” a slightly ambiguous epic, is the least transformed, staying true to the original. But the addition of Thile’s mandolin and the accents of fiddle give the track grounding, adding dimension to the somewhat tragic story. “Down Along the Dixie Line,” from Welch’s 2011 The Harrow and the Harvest is the complete antithesis, morphing from a southern gothic ballad into a fiery romp. Both are effective readings, although Punch Brothers barely give the lyric room to breath, nearly suffocating the story by speeding it up a little too fast. The real delight is “Icarus Smicarus,” a noise rock disaster turned progressive bluegrass delight. One of Punch Brothers’ core appeals is their left of center oddity, which is fully explored in this song’s brilliant eccentricity. The lack of any significant narrative structure, let alone the usual verse/chorus/verse/bridge pattern of country songwriting will alienate anyone in search of tangible meaning, but the connectedness of the group cannot be denied. “Moonshiner,” the traditional folk song made famous with versions by The Clancy Brothers and Bob Dylan is my personal favorite on the set, showcasing the band’s wicked instincts with a killer narrative. The lone original is the wonderfully titled “Squirrel of Possibility,” an elegant mandolin and fiddle driven instrumental. As a whole, both McKenna and Punch Brothers have turned in some exquisite work, each exploring different facets of their creativity all the while staying true to themselves as visionaries. 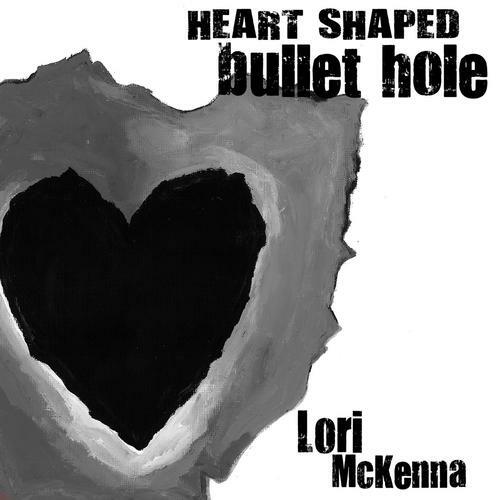 I still would like to see McKenna challenge herself even more, with further exploration of songs in the vein of “Heart Shaped Bullet Hole.” Her ballads are still effective but are too frequent and beginning to fade into sameness, thus stripping them of their potent emotion. Luckily Punch Brothers seem nowhere near the peak of their artistry, and Ahoy! shows a band built on taking daring risks that more often than not feature big pay offs for the listener. I can only dream about where the coming decades will take them, and if they stay as crisp and in tune as they are now, it’s going to be one heck of a prosperous musical odyssey. 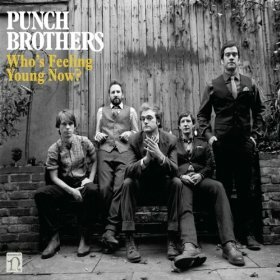 With Who’s Feeling Young Now, the Punch Brothers have completed the musical trifecta (which also includes For The Good Times and Hello Cruel World) shaping my current listening experience. There’s a joy and delight to this album that only becomes deeper and further realized with each play though. As a rabid Nickel Creek fan, I’ve understood Chris Thile’s genius for more than a decade. But I was hesitant in diving into the Punch Brothers after feeling alienated by his How To Grow A Woman From The Ground. Thile’s knack for high-pitched singing was foreign to my ears and his experimental nature jolted me too far out of my musical comfort zone without smooth transition. But that didn’t stop me from diving into Who’s Feeling Young Now, my first foray into his latest musical creation. Like any great musical work, the album transports the listener into a world all its own, a place nonexistent on the geological map. The mix of mandolin and fiddle ground the record in a post-apocalyptic meets gypsy-like setting (think “Sister Rosetta Goes Before Us” by Robert Plant & Alison Krauss), and the instraments used throughout fuse together to create a sound completely unique and original. This is most obvious on the opening track, “Movement and Location,” a rousing mix of mandolin, upright bass, and haunting fiddle inspired by former Major League Baseball Player and Cy Young Award recipient Greg Maddux. Thile uses the range of his talents to full effect and brings an otherworldly element to the track by going places with his voice I never dreamt possible. You’re not likely to hear a more interesting song this year. Another example of the band’s animalistic prowess is “Patchwork Girlfriend,” a weirdly off-beat traveling circus-like number that opens with a downward fiddle crescendo that leads into Thile’s dazzling manipulation of the mandolin. But the combination of his outlandish yet ordinary vocal delivery proves he’s mastered the comedic undertones of the lyrics, but isn’t trying to reach parody in his delivery. Going even further into this eccentrically experiential universe is “Don’t Get Married Without Me,” in which strokes of mandolin gel beautifully with frantic bursts of fiddle and touches of banjo. The track benefits greatly from a lack of fullness musically, as the darkness of Thile’s vocal and the harmonies with his fellow band members shine through. But for all the improvisation going on, Who’s Feeling Young Now has its fare share of “normal” moments, too. The art of Progressive Bluegrass, which the band is categorized under, is to sound completely modern in your approach to the acoustic stylings of Bluegrass while still maintaining a sound mixture familiar to purists. While there isn’t anything traditional about their approach, they hit this melting pot head on. A few of the tracks seem to evoke a touch of pop/rock almost like a roots version of Mumford and Sons. My favorite of their less funky numbers is the bouncy “This Girl” which elicits the joy of young love and the rekindling of a father/son relationship. The driving mandolin blankets the song in a sunny warmth and the rapid-fire lyrics bring fourth the intensity of his feelings towards the prettiest backslider in the world. Another standout is the title track, the most pop/rock influecned on the whole album. 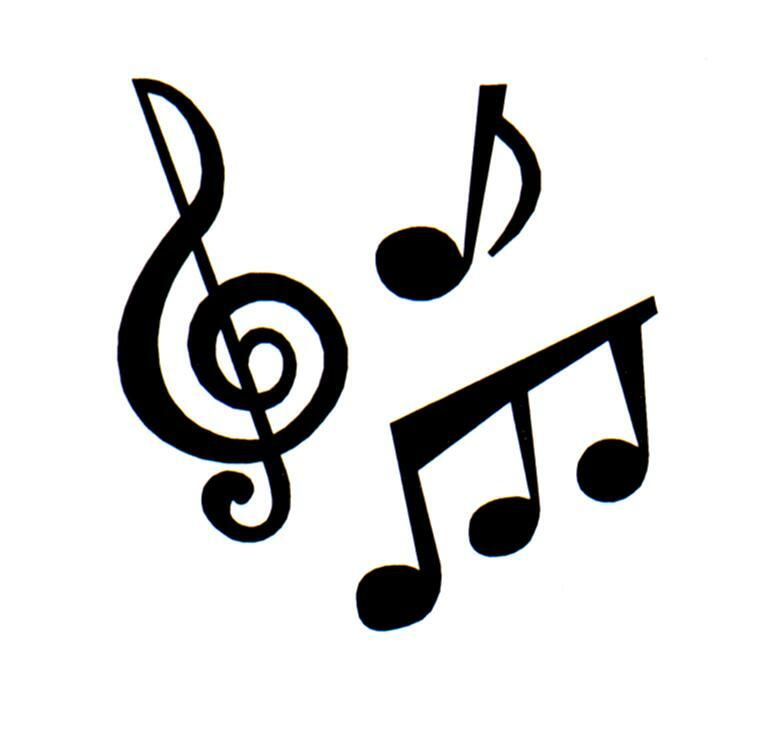 The opening mix of mandolin and acoustic guitar is heightened by the introduction of fiddle to create a layering of instruments giving the listener the feeling of a full band. It’s my other favorite song on the album because I’m drawn to the receptive nature of the lyrics, in which Thile repeats they tried to tell us and at times we tried to listen to almost primal screams in the final moments of the song. But beyond that, the lyrics, written by the band, are genuinely crafted. The way they’re able to string words together is a work of art. As much as Who’s Feeling Young Now is an upbeat, full of driving beats, and not-much-heard musical manipulations, there are a few slower moments that add depth to the overall sound. “No Concern Of Yours” may be the closest thing to Krauss’s trademark style, while “Soon or Never” brings back found memories of Nickel Creek’s early days (i.e. “When You Come Back Down” and “The Reason Why”). Of the slower songs, “Clara” is easily the most progressive, and showcases Thile’s higher register, which in the six years since How To Grow A Woman From The Ground, has become a taste I’ve happily acquired. Like any great acoustic band, time to show off your instrumental abilities is key when giving the audience the fullest picture of yourselves as a band. Plus, its the time to let loose and just play for playing sake. 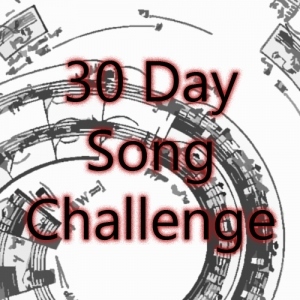 That’s almost unnecessary here, though, because every song more than accomplishes that directive. But, nonetheless, we have “Flippin (The Flip),” a rousing number that gives ample time for Thile to showcase his skills as a mandolin prodigy, Gabe Witcher a spotlight for his fiddle playing, and Chris Eldridge another chance to blend in his acoustic guitar. The less straightforward “Kid A” is also in the mix, and brings the album back to its gypsy-like beginnings. Overall, in pinning the three albums in the trifecta against each other, Who’s Feeling Young Now comes out on top. Without a doubt, its the most exhilarating album I’ve heard in quite a long time and, in my book, the best country/bluegrass/roots album of 2012 so far. I’ll be quite surprised if any mainstream country release will be able to top this in the coming months.